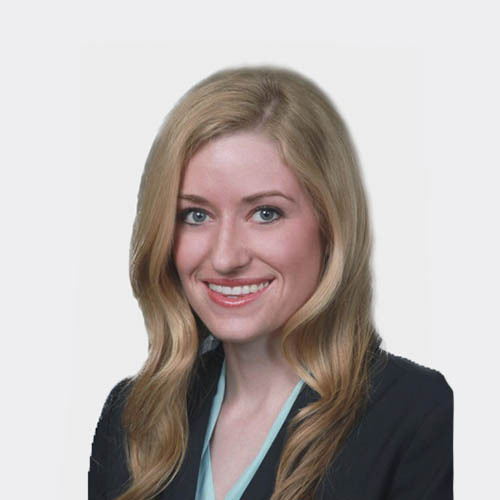 Katherine joined Mullen and Filippi’s Riverside office in March 2016 as an Associate Attorney and became an Associate Partner in July 2018. She has practiced law in the area of workers' compensation since 2012, when she initially became a member of the State Bar of California. Prior to joining Mullen and Filippi, Katherine worked for a prominent California workers' compensation defense firm, where she co-managed their developing Los Angeles office. She has practiced throughout Southern California representing the interests of insurance carriers, self-insured entities, and the California Insurance Guarantee Association and has appeared at numerous WCAB district offices throughout the Los Angeles, San Diego, and Inland Empire regions. Katherine received her law degree from the University of La Verne College of Law in 2012. During her time at the University of La Verne, Katherine earned the CALI Achievement Award for obtaining the highest grade in several of her law school courses. While in law school, Katherine spent summers interning at the Riverside District Attorney in their Indio office, where she conducted several preliminary hearings, argued various oral motions, and researched and drafted numerous written motions and trial briefs. In 2008, she earned a Bachelor of Arts in English Literature from University of Redlands, where she achieved the Dean's Honor list for a number of her semesters spent there. Katherine is a member of the State Board of California. The past several years of my legal career, I have had the opportunity to work on various files with various clients, many of which I handled from the inception but others I inherited while in the midst of on-going litigation. This offered me the ability to witness the life of a workers' compensation claim from the on-set through resolution. It has also taught me the importance of building and maintaining strong relationships with adjusters and has challenged me to develop the skills required to analyze the complexities of long-standing legal actions. As a result, I have acquired the ability to formulate concise and clear plans of action to ensure that all matters continue to move toward prompt conclusion. Growing up in Palm Springs, I am an outdoor enthusiast and enjoy spending my free time participating in various outdoor activities including walking and hiking. I also have a passion for both reading and writing, and aspire to one day author a fiction novel. Otherwise, I can be found spending time with my family, friends, and my cocker spaniel, Noel.